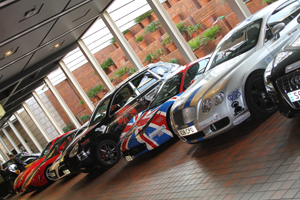 The cannonball 2000 European road rally took place during the first week of September 2012, L&S Signs initially met the rally organisers at the Autosport show earlier the same year where we offered our services to them. L&S Signs have fulfilled needs of similar events in the past where we supplied stickers sets for upto 120 cars taking part, as well as handling all of the stickers themselves we also took care of the logistics of delivering them to all the rally competitors which was one less thing for the rally organisers to worry about. 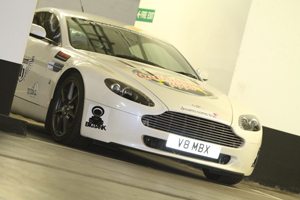 The Cannonball 2000 had its first event in 2012 and there was 50 cars taking part, all of which had to display the various sponsor logos, even at 2 weeks to go new sponsors were still joining the event and we added these to the sticker sets with no complications to the event organisers. Two thirds of the stickers sets were sent direct to the participants whilst the rest were fitted by L&S Signs the night before the rally in London.